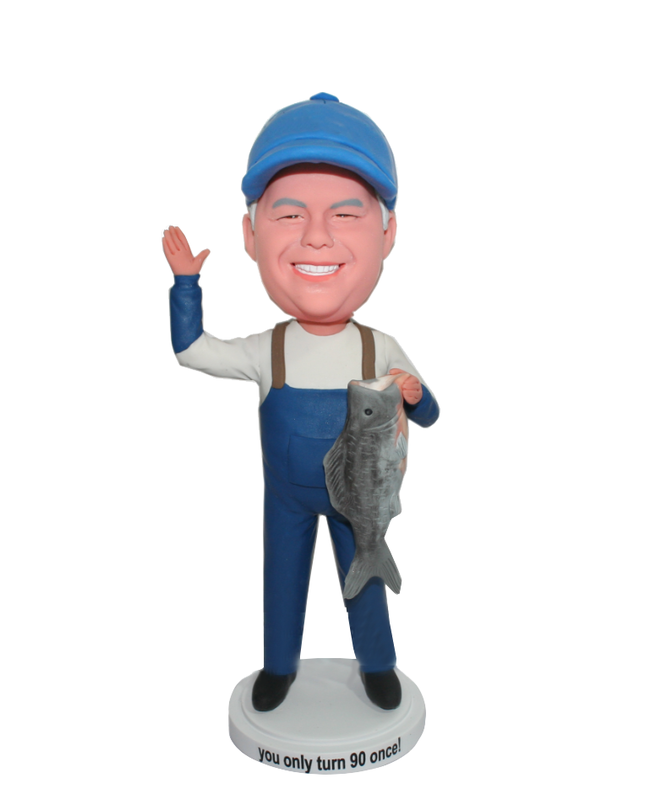 Wearing a blue fishing suspenders,this customized male fisherman bobblehead doll is holding up his latest catch. This customized bobble head is so good a gift for the one who really enjoy himself when fishing in the blue sea then show off his "fruit" to everybody. Use this bobble to honor the skillful and brave fishman in your life! !